Whether noise comes from an air conditioning system, a rotating fan, or any other device that creates noise through turbulent flows, the sound generation and propagation mechanisms must be addressed to satisfy the ever increasing customer quality expectations. These systems are often required to operate for extended periods of time. Even low noise levels can significantly degrade the comfort for the user. With Actran, engineers from all industries have tools to predict and understand how to design quiet workplaces, quiet car and aircraft interiors, or silent electronic devices. 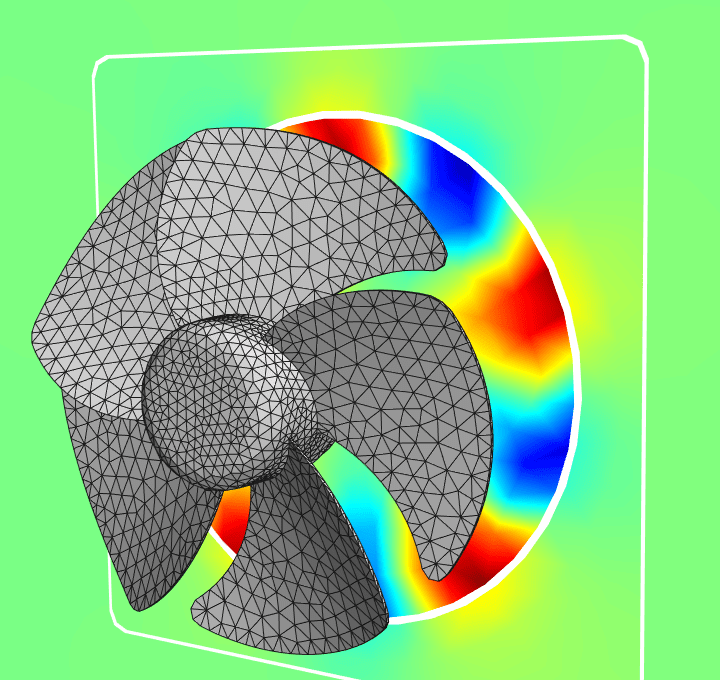 Actran AeroAcoustics is a module that features advanced capabilities to predict accurate and efficient noise generation of turbulent flows. 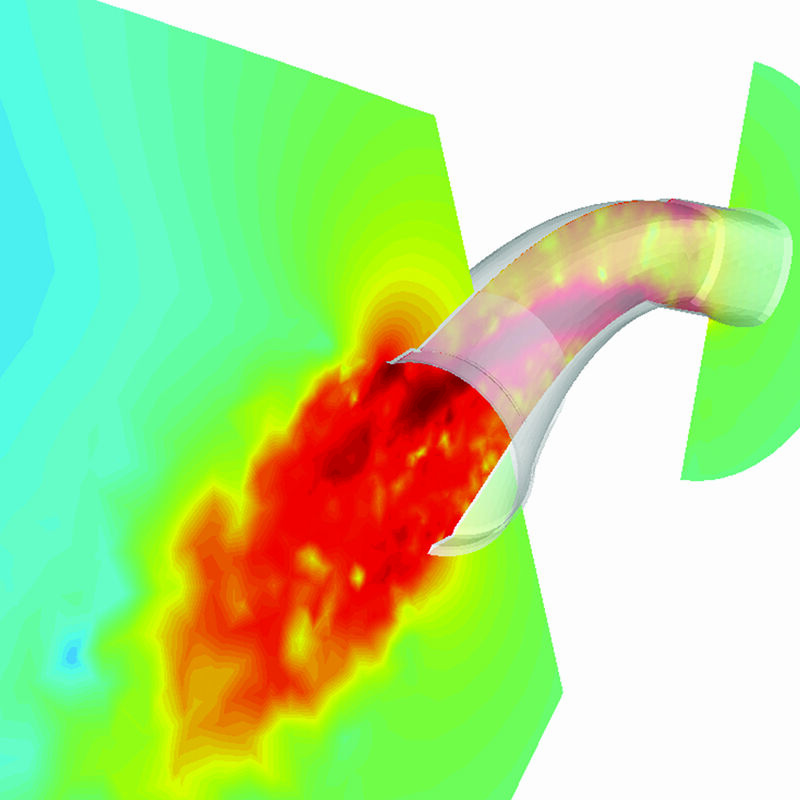 Results from an unsteady flow simulation performed with CFD codes such as MSC's SC/Tetra™, Fluent™, Star-CD™, StarCCM+™, Powerflow™, OpenFOAM™ and others are used by Actran AeroAcoustics to compute aerodynamic noise sources. The acoustic propagation from these aerodynamic sources are then computed to provide users with acoustic results such as noise levels and directivity. 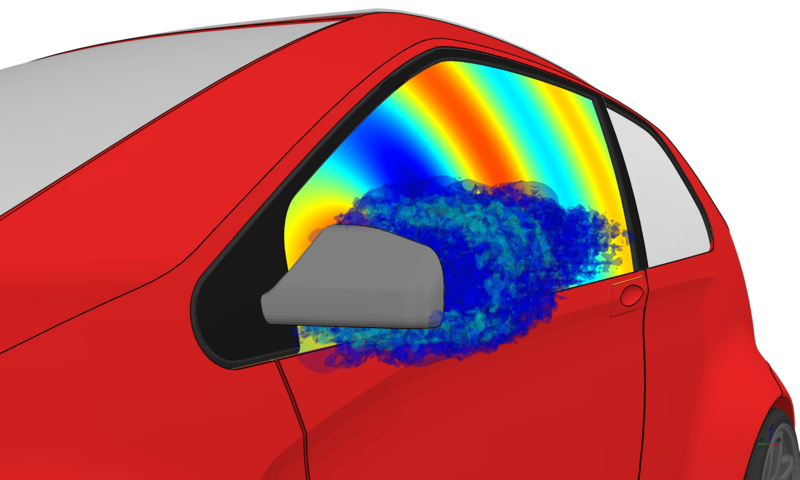 Using Actran AeroAcoustics, the noise generated by any turbulent flow can be thoroughly predicted. Users can benefit from all features of the Actran software suite to study the interaction between the aeroacoustic noise sources and a vibrating structure, absorbent materials, or acoustic traps such as resonators. Applications for Actran AeroAcoustics include rotating fans, air conditioning modules and side mirrors. It provides users with a complete understanding of the physical phenomena involved in the noise creation process. Actran AeroAcoustics offers high performance solvers and parallel processing features with full integration in the Actran pre- and post-processing environment, Actran VI. It can also be combined with Actran VibroAcoustics in order to address aero-vibro-acoustic challenges such as side mirror noise.